You might be confused after seeing a lot of tuna fish canned sold in the market and makes you wonder which one to purchase. 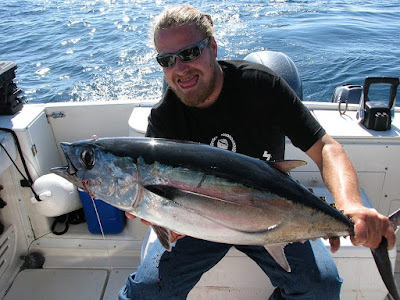 As you know tuna fish is a high protein resource with affordable price. Not to mention even though it is a fish but it has mild fishy flavor which make tuna suitable to be included in many kinds or recipes. Although it seems there is a lot types of canned tuna available, but you can differ canned tuna in two main variations. 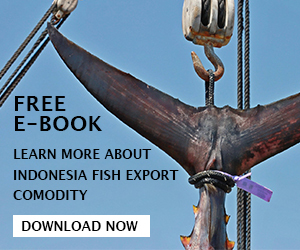 Let us learn more about this sea fish canned product information so you can gain more benefits from it. As we mention before there are only two main variations of canned tuna available in the market. The first one is light tuna and the second one is white tuna. Even though they seem similar but they actually very different since they are made using different type of tuna as the ingredient. The light tuna is made using many types of tuna such as yellowfin or skipjack as the ingredient. While for the white tuna, it is only made using one type of tuna which is albacore tuna. The difference between those two tuna fish canned variations can be seen from the color of the tuna meat available inside the can. The light canned tuna usually has dark meat color which varied from tan towards dark red color. 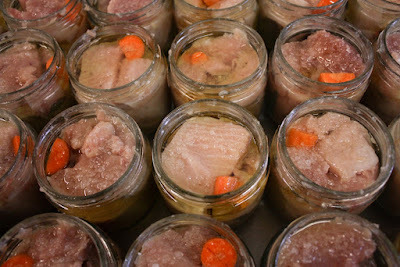 For the white canned tuna as its name suggested, the meat has white color with a little bit of pinkish color. 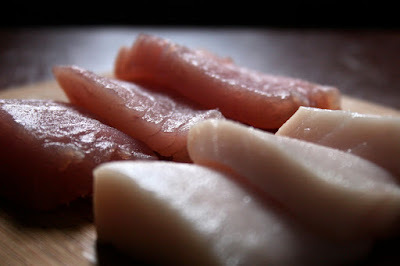 This type of meat color is considered as the most suitable to be developed as canned tuna. Another difference between those canned tuna is the substance that used to soak the tuna. For light canned tuna, it uses water as the soaking substance. While for the white canned tuna, it uses oil as the soaking substance. But since the light canned tuna meat is using water as the soaking substance, then it is considered as the healthier variation among the two. If you want to know about the flavor, the light tuna fish canned has stronger flavor especially for the dark meat area. However, it has soft texture that makes it similar to the chicken thigh texture. While for the white canned tuna, it has milder flavor with less fishy taste. It also has firm texture that makes it similar to the chicken breast texture and flavor. Since not many people like strong flavor that the light canned tuna has, then the white canned tuna is preferred by many people. This is also one of the reasons why it is widely available on the market. 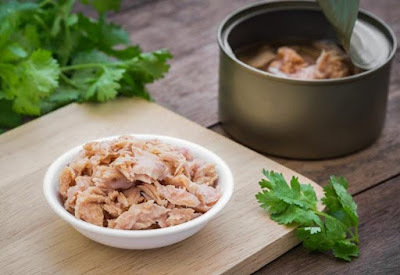 From the nutrition benefits, you will also get omega 3 fatty acids from eating canned tuna. This healthy unsaturated fat is great for healthier brain, and good for development and better growth. As essential acid, this fat can also reduced inflammation occurred inside the body. In time, it will lower the risk of arthritis, cancer, and heart disease. The omega 3 is known to give many kinds of benefits such as lowering the cholesterol level and blood pressure. Among those two variations of tuna fish canned, white canned tuna has higher level of fat and omega 3 fatty acids. There is also small amount of niacin available inside canned tuna. This vitamin B variation is good to help with the digestive system, healthier skin and nerves. Other type of vitamin B also available inside tuna which is vitamin B12 which is good for the brain to be function correctly. It will also able to help with the production of red blood cell and DNA. It is important to note that all fish from seawater which also includes this tuna fish has mercury inside. This dangerous contaminant is known to cause damage to the nervous system especially in small children and unborn fetus. However, for adult, consuming large amount of mercury is also dangerous, which is why you should be careful and limit your consumption of canned tuna. 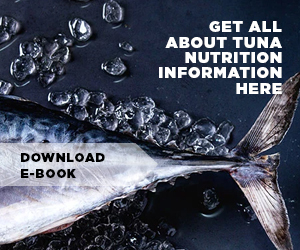 Among those two variations of tuna fish canned, white canned tuna has higher level of mercury inside which is three times higher than the light canned tuna variation. However you can still safely consumed the white canned tuna every nine to fourteen days.